What is ethics? It’s the way we reach rational consensus on how we can get along with each other. We have to put our heads together and work out a mutually acceptable set of rules. Unfortunately, we have forgotten how to do this. Our society has become polarized. This is why I created this blog. 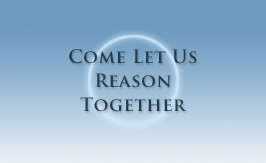 It provides a forum for rational discussion of ethical issues. I analyze all the posted dilemmas, based on principles described under How to analyze. You can also post ethical questions or help analyze those posted by others (anonymously if you prefer). No ethical issue is off limits, however large or small. Let’s all pitch in and do our part to make ethics work.